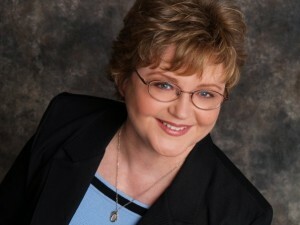 Carol Wargo is President of Workforce Dimensions LLC. She specializes in executive team and board development, capacity building, policy and strategy development, organizational assessment, process and system improvement, quality service, workforce integration and transformation, process improvement and service mapping, and career development. She is skilled at building collaborative relationships that lead to strong leadership, participative management, and more effective team performance. Clients have learned throughout the years that they can trust the advice and solutions Carol offers to them. Previously, Carol was president of a nonprofit agency providing management training and organizational development services to a variety of governmental and nonprofit organizations. Her fifteen years of leadership successfully steered the organization from a statewide to a national customer base with diversified sources of revenue. Programs offered through her agency attracted clients from all fifty states as well as Puerto Rico, American Samoa, and the U.S. Virgin Islands. Examples: provided technical assistance to address local and statewide professional and system building needs; researched and developed strategy for workforce system design approaches; assisted state workforce agencies and Governor’s Office of Workforce Transformation with WIOA transition; analyzed new legislation, researched transition needs and implementation options, developed transition strategies; provided technical assistance in implementation of numerous statewide programs such as Comprehensive Case Management Employment Program (CCMEP) that supports comprehensive and collaborative program delivery for WIOA and TANF youth, Gold Standard Continuous Improvement Program, Ohio Career Pathways Initiative, Customer Service Representative statewide training for the Office of Local Operations. extensive knowledge regarding issues facing the public workforce system. Examples: facilitate a strategic planning process for numerous workforce boards and for the Eastern Carolina Youth Council; coordinate with Office of Workforce Transformation and OWD for strategic messaging and communications/outreach plan for Governor’s Executive Workforce Board; technical assistance to the Office of Workforce Development and Office of Workforce Transformation in developing a Unified State Plan for WIOA, ABLE and Perkins workforce development services; research federal guidance on unified state plans; coordinate efforts of OWT, OWD, Ohio Dept. of Education and Ohio Board of Regents to explore strategic priorities; Workforce Board Training on workforce legislation, policy setting, strategic options, roles of boards and members, working with partner agencies. Examples: facilitate teambuilding process for merger of two major urban workforce systems; facilitate a “RACI” (Responsible, Accountable, Consulted, Informed) process for Ohio’s Regional Rapid Response Coordinators and for statewide Migrant Seasonal Farm Worker team; draft the planning template for county lead agencies to use in certifying compliance with program requirements and describing key partnerships; facilitate a peer-to-peer coaching process to assist local workforce areas with development of OJT under NEG; facilitate process to evaluate and propose improvements in marketing and user interface for the state’s unified longitudinal datasets (WDQI) website. Popular programs include: WIOA Basics, Strategic planning, Customer Service, New Board Member Training, Credentialing, Marketing to Employers, Resource Room Lessons Learned, Process Analysis, Quality & Continuous Improvement Principles, Sustainability, Balanced Scorecard, Assessment Strategies, Youth Council Training, Disability Awareness, Change Management, Interpersonal Communications, Business Writing/Case Notes, Job Development, Building Successful Resumes, Career Development Facilitator training, Peer-to-Peer coaching, Effective Planning and Time Management Techniques. Services include: examine grant solicitation document, work with subject matter experts, assist in development of proposed plan and identify possible inputs, activities, outputs, outcomes and impacts; develop logic model for the project; design project evaluation plan; write grant proposal, executive summary and abstract; coordinate with federal evaluators; assist with cost/time estimates and budget narrative; prepare final grant packet and attachments. Examples: worked with Office of Human Services Innovation and ODJFS to prepare a statewide evaluation plan for CCMEP, in support of a HHS waiver request for TANF using a random assignment experimental design with treatment and control groups; determined levels of satisfaction among dislocated workers across the State of Mississippi, with recommendations for improvement; conducted a statewide study of workforce professionals to determine best practices in promoting OJTs with employers; researched the practices of 15 states through website and literature review to determine best practices for selecting distance learning providers; researched and analyzed other states’ practices for best approaches in youth programs; conducted a series of job/task analyses to determine skills and knowledge critical to workforce professional used by NAWDP to create its certification process; researched program models for delivering mentoring services to older youth and youth in foster care; researched content requirements for customized training on career choices and career preparation; assessed how comprehensive remediation for customers should be coordinated within the workforce/One-Stop system, including development of assessment toolkit for evaluation team members; evaluated O.N.E. STOP employment/recidivism project with data analysis on employment results and wage comparison; evaluated strengths/successes and issues/concerns regarding Gold Standard implementation; developed comprehensive evaluation plan for Connecting the Dots project, with short-term & long-term goals, processes, timelines and roles. Whether a workshop for 20 or a conference for 1000 or a statewide mystery shopping project, Carol has planned and organized a broad array of meetings and events. Services such as: conference content planning, budget management, marketing and promotion, speaker selection and preparation, registration process and participant packages, facility logistics, audio-visual, exhibitors area, onsite management and evaluation; mystery shopper training and scheduling, design shopping protocols, review forms and reporting process, prepare field observation and feedback analysis. Examples: planned ten statewide annual conferences for association of workforce professionals, each with several hundred participants and 30+ workshops; chaired National Association of Workforce Development Professionals annual conference committee, managing volunteers from across the country to plan, organize and coordinate two annual conferences; planned and coordinated statewide WIOA Training 2015 for transition; coordinated arrangements for the DOL Quarterly Roundtable; conducted mystery shopping visits to local workforce areas, with emphasis on delivery of one-stop service through the eyes of the customer; coordinated statewide outreach and PR project to support the state’s employment website, contracting with PR firm for media coverage and onsite coordination of job fairs in five different cities. Examples: 100+ page evaluation study of Best Practices for Marketing OJTs; 100+ page training manual on improving writing skills; numerous staff user guides on topics such as Peer-to-Peer Coaching Guide, Mystery Shopper Guide, and Youth Program Evaluation Tool Guide; development of an OJT procedure manual in collaboration with a national subject matter expert, with detailed instructions and policy /regulatory references; provided technical assistance in developing materials in compliance with accessibility standards for recorded webinars and for websites; developed content and published various newsletters; served as primary writer and editor for an extensive number of marketing brochures developed for open market seminar for a national workforce system audience. Carol is a graduate of the Human Resource Management and Organizational Development program at Bowling Green State University. She was among the first to receive Certified Workforce Development Professional (CWDP) credential from the National Association of Workforce Development Professionals (NAWDP).